Paul Mace is a former Marine Corps Navigator, pilot and software pioneer. 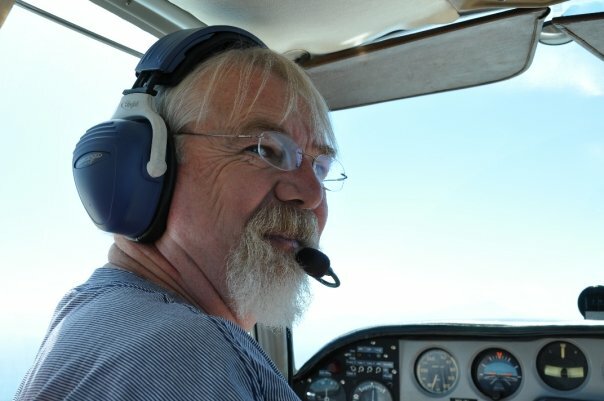 His career in hi-tech extends from inventing the field of Data Recovery, through launching television pioneer, TiVo, to Synthetic Vision for Aviation, where his professional career and lifelong passion for flying have once more converged. Standing in the Air Force Museum in Dayton one afternoon, in the WWI section, he found himself staring at a small, wooden frame and colorful silk map of France. Two knobs let the pilot scroll the chart beneath a wire crosshair. “Nearly a hundred years had passed,” he recalls thinking, “and nothing has changed in the cockpit but the medium and the mechanism. The same data are represented in the same way.” That realization - as well as 4000 hours of experience in the air - led to Symbolic Flight, the first photorealistic, three-dimensional navigation tools for planning, flying and training.